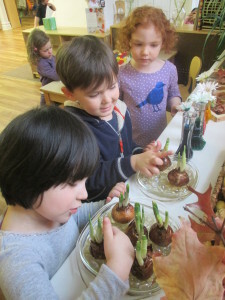 The classes at Columbia Greenhouse Nursery School are bursting with activity. We intentionally design our environment to invite children to do what comes naturally to them – tinker, play, express, build, think. 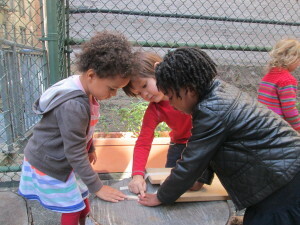 On any given day, at any given moment, a small group of children could be collaborating together to build a rocket ship with smooth wooden blocks, while another child is writing a story about the day a young girl turned into a cat, and still another child is off sorting the collection of antique buttons into unique categories. 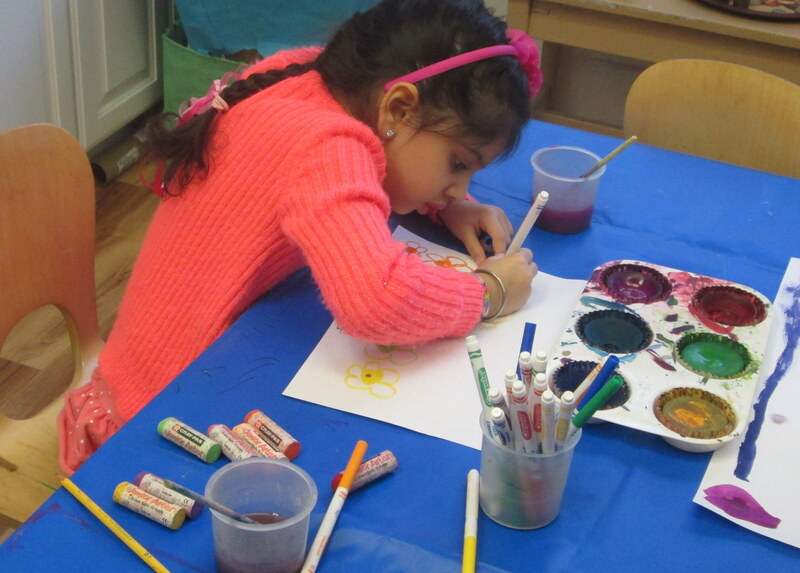 You might find a small group of children cooking challah bread or planting seeds in fresh dirt, while others are painting at the easel and mindfully filling the paper with different sized dots of paint. We believe that young children come to us with lively minds that are filled with powerful ideas, thoughts and questions. We believe deeply in each child’s potential and capacity. Our environment provides them the time, place and support to try out their ideas, express their thoughts and answer their own questions. This carefully planned environment becomes the foundation on which we then build a project or study. 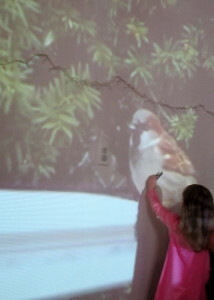 We start our study deep within the interests and questions of our children. We watch them , reflect on their work and play, and then, when something bubbles up that excites us and we feel that deep desire to find out more, we set off: we research, discuss, tinker, experiment, create and do! We encourage children to represent their experiences and growing understanding in many different formats. We know that the longer our kids stay deeply involved in this “process” part of the inquiry, the more meaningful their learning. As we go through the process, we reflect on both our actual learning and our behaviors that help us learn. We document our journey with photos and words so that we can revisit and remember where we’ve been. Our documentation also helps us stay focused on where we are going.